"The origami folds of Tess Vigil's signature dress read like an artist's statement. The dress, vintage-inspired yet modern, is her medium; flattering, feminine fashion her art. "As a kid, I was a little shy. I studied photography and printmaking and I loved how through a photograph I could make a big statement without saying a word," the Denver-based designer said. "I view fashion in the same vein." Created in her RiNo workshop, 50 Dresses by Tess Vigil features everyday dresses as well as custom bridal party and special occasion looks. "It's not an option to not wear clothes, but you have so many options when it comes to what you are going to put on. You're able to say so much about your identity in the symbolism of what you're wearing," Vigil said. "When I think about dressing women, I want them to feel classy and feminine." Denver-based designers like Vigil are getting their share of the spotlight, thanks to a new event from the producers of the Cherry Creek Arts Festival. 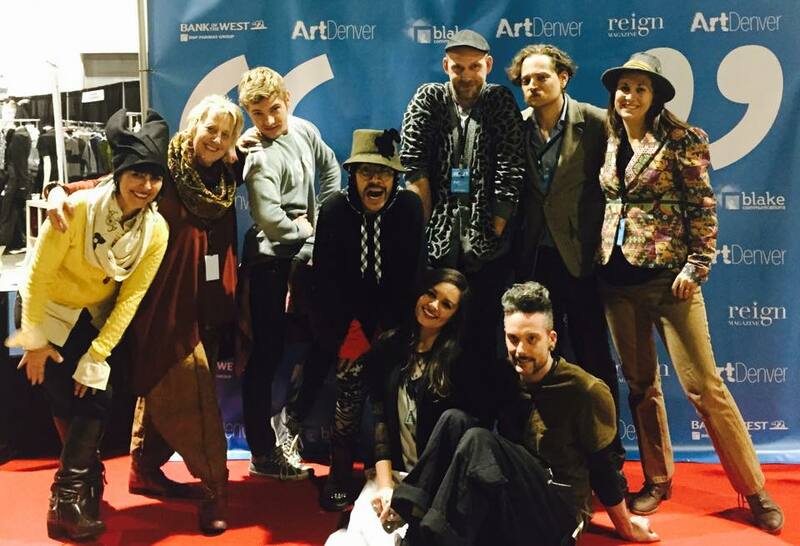 Art Denver, an indoor fine-arts marketplace Nov. 14-16 at the Colorado Convention Center, is bringing together visual art, interior design, Colorado-made goods and fashion for a weekend-long finale to Denver Arts Week."